Size: 8" x 10 3/4"
Description: This is the Holiday 2017/2018 edition of Vanity Fair magazine with Dr. 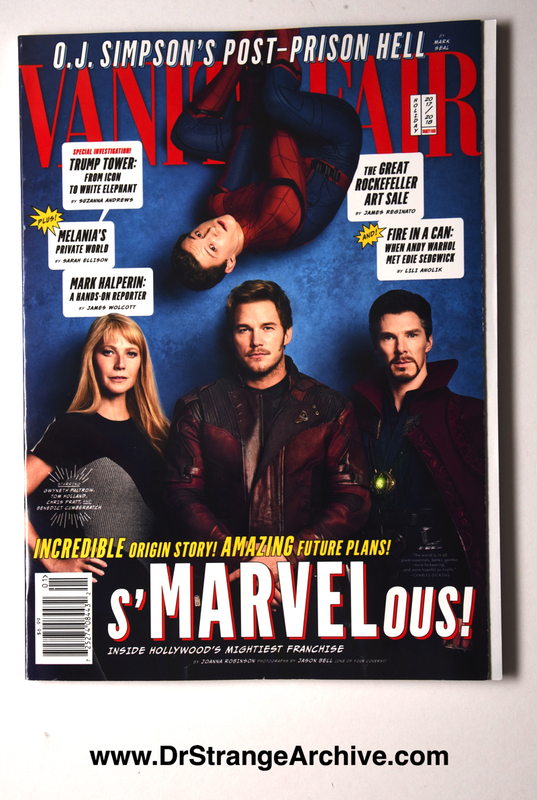 Strange, Spider-man, Pepper Potts and Star Lord on the cover. There are four versions of the cover to this edition each featuring a different group of Marvel Characters. 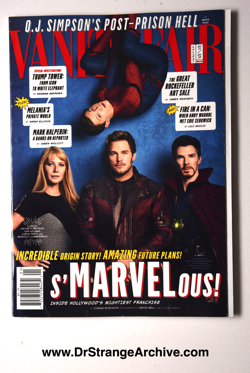 Inside is a photoshoot featuring Marvel characters and an article on Marvel Studios.